I took this one in the 1990s and later used it on the website. Steele Rudd, aka Arthur Hoey Davis, is the author of the iconic Dad ‘n Dave stories. His real life mum was Mary Green, an Irish Famine orphan from Tuam in Galway. 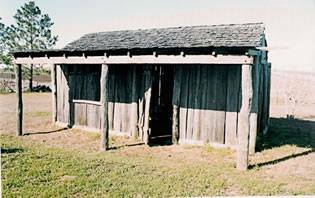 She was to raise thirteen (13) children in that slab hut. The next one I took in 2007. 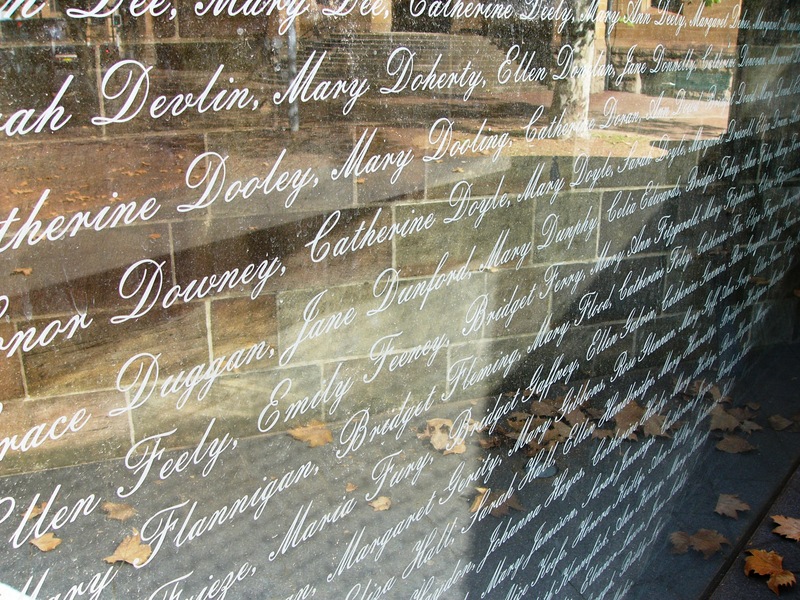 It is of a glass panel engraved with some of the orphans’ names, part of the Monument to the Great Irish Famine in Hyde Park Barracks, Sydney. The Monument is a beautiful piece of public art by Hossein and Angela Valamanesh that warrants close study for it to be fully understood and appreciated. It became a reality between 1996 and 1999 because of the Australian Great Irish Famine Commemoration Committee under the chairmanship of Tom Power. Now for a couple more family reconstitutions. 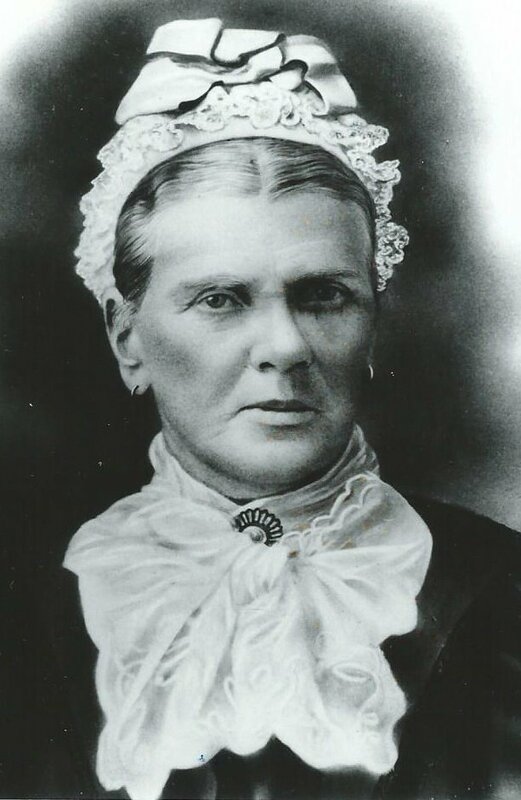 The first is of Mary Barrow, one of two sisters from Mallow, County Cork. She is well known to her descendants. The second is of Ellen Parks from Belfast whose story is a classic one of ‘rags to riches’. Just a couple of photos of the orphans taken later in their life. My thanks to their descendants who sent me the pics to use. The small one is of Honor Rafferty from Roscommon per Digby; the large one is of Johanna Kelly from Kilkenny, per Panama. This entry was tagged Ellen Parks, Honor Rafferty, Hosseinand Angela Valamanesh, Hyde Park Barracks, Johanna Kelly, Mary Barrow, Monument to the Great Irish Famine, Steele Rudd. Bookmark the permalink. This was interesting to find. 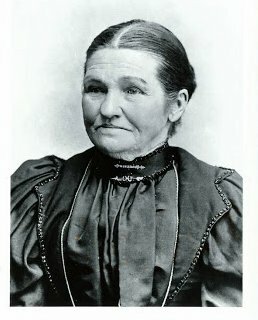 Mary Green was my Great Grandmother. Thank you Trevor for sharing your ongoing research into the Irish Famine Orphans. My great Grandmother Eliza Geoghegan arrived on the Digby in 1849 and I found the following newspaper articles when searching the British Newspaper Archives. 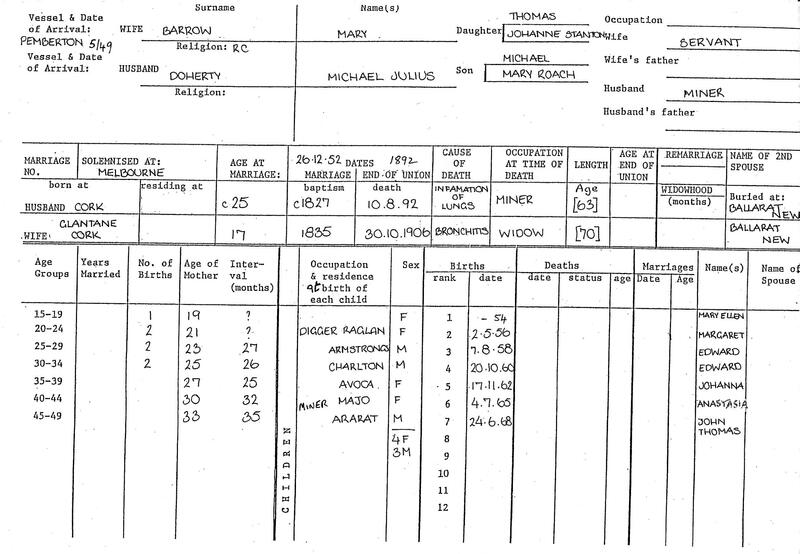 The first report refers to them sailing from Ireland to Plymouth. The writer was obviously very impressed with the girls and how nice to find such a positive report on their looks and behavior. Government Emigrants. l saw at the North-wall, a number of female pauper orphans from the Cavan Union on their way to Plymouth, for embarkation by the government to Australia, and I was surprised at the neat, healthy, handsome, nay, elegant, appearance of these poor girls. The ages of the girls average from 15 to 18 years, that they can all read and write but two, some of them very ‘superiorly, both as to style and penmanship, and that in general they can do most kinds of needlework. They reflect great credit on whoever superintended their education, indeed they would put to the blush many young ladies who have the advantage of modern boarding-school education. The girls, with others from Boyle, Loughrea, &c., in all above 100 sailed in the Duke of Cornwall at one o’clock Saturday. — Saunders. Emigration. —Plymouth,—There are now single Irish females, orphans, and few married couples, here, about to proceed to Australia in the Digby. They arrived in the depot on Monday last, by one of the Irish steamers. Great Stuff. Good to hear Margaret (if I may be so bold). I was looking at something about the ‘Lady Kennaway‘ the other day. Must have a look for it again. Earl Grey's Irish Famine Orphans (64): some Irish sources. 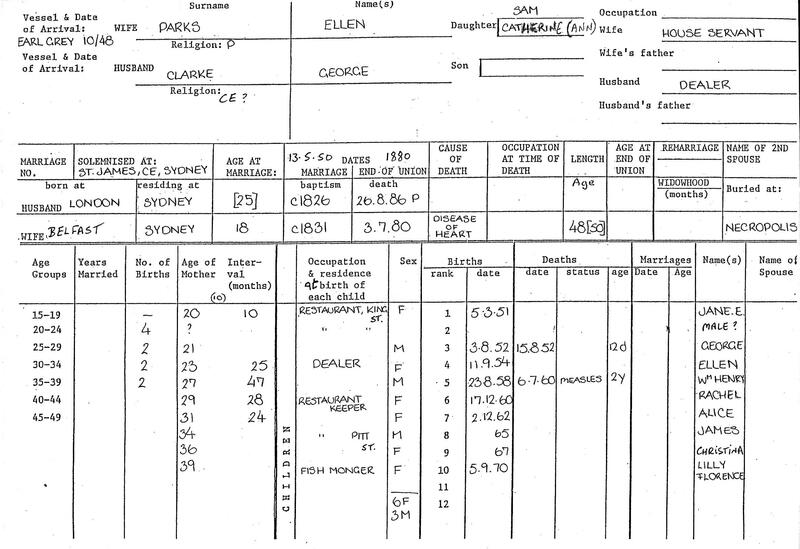 Earl Grey's Irish Famine Orphans (49): a few Queensland orphan stories?